Are you intimidated by birthdays that can be divided by 10? They’ve never been that big a deal to me. 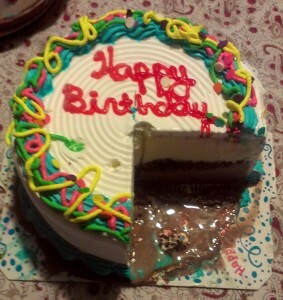 I rather enjoyed turning 30, 40 and 50…but turning 35 and 45 caught my attention a bit more. Today I turn 55. You can see I have chosen to embrace my mother’s traditional approach to handling life’s larger issues, enabled by my beloved spouse. So far it is working beautifully! I’m surprised how fun and pleasant the day has been, filled with sensual pleasures and delightful human contact. Every practical detail worked out smoothly from start to finish, and the day’s events seemed framed to make me feel lucky and well cared for. 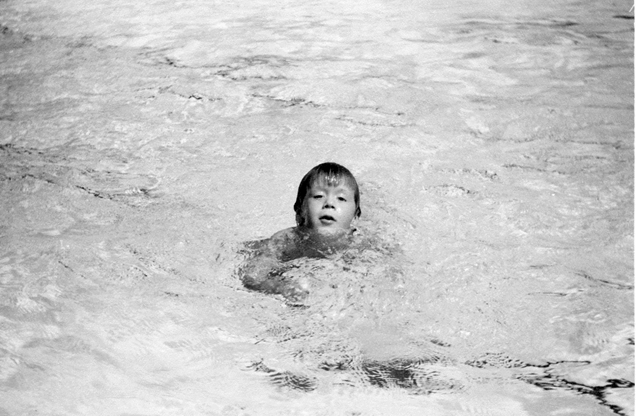 Swimming has been one of my favorite things to do all my life. Here’s a fun shot my mom took at West Hollywood Park back in the summer of 1963, a few months more than 50 years ago. Back then, I only had access to a pool during the summer months. These days I get to swim year-round in a swimming pool I can walk to from my front door. Sure, there’s a lot wrong with suburbia, morally and aesthetically, but I have to admit that swimming in a nice pool today makes me just as happy as it did when I was five years old. Here is the proof, along with a shot of today’s magnificent sunset in Del Mar and a picture of a splendid ice cream cake! I am happy (and a little surprised) to be celebrating yet another birthday, and I am acutely aware of how lucky I am to enjoy so many excellent times. Family and friends have been in touch to wish me well. Their wishes are coming true, and so are mine. 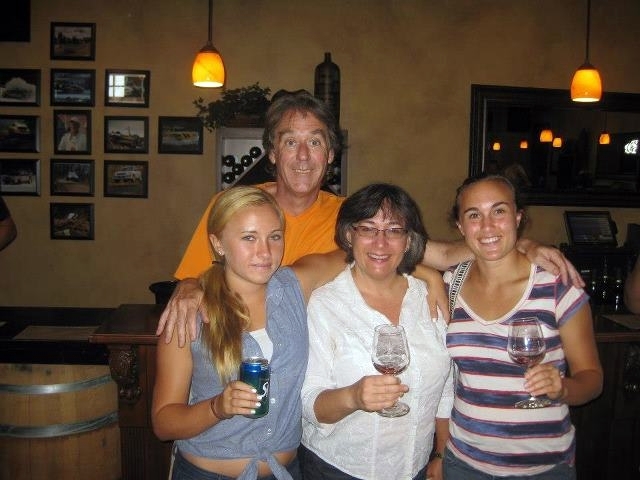 My sister in-law Debbie lost a fight with cancer a couple of days ago. She is the Girl Scout in the second row; I am a couple of rows behind her and slightly to the left. 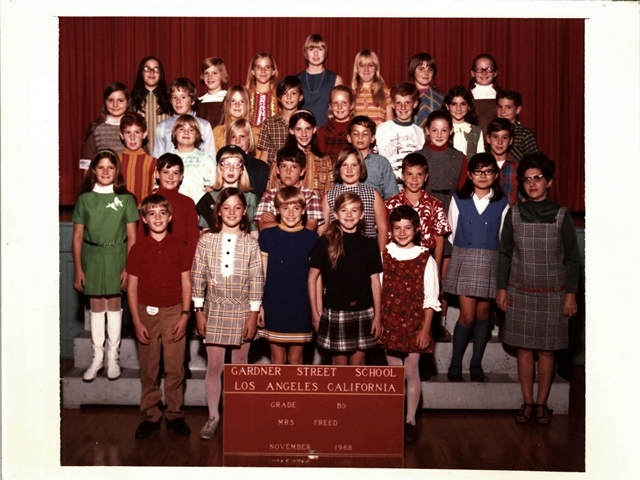 This was the only group photo from my grade school years that was in color. Maybe that’s why it still looks modern to me…yet the picture will be 45 years old in a few months. Here is a picture of Debbie from a few years ago, posing with the Guardian of Forever. I’d like to have a picture taken on this set! My mom worked on every iteration of Star Trek, from the first season of the original series through to the last TV series about nine years ago. I’ve written about what it was like being ten and going to the Star Trek set for the cast and crew Christmas party in December 1968. Nobody dreamed the show would become a titanic money-making franchise back then. City on the Edge of Forever is one of the best episodes from Star Trek’s original series. It also offers a splendid glimpse behind the curtain of the “creative” process of network TV in the 60’s. In a nutshell, Harlan Ellison’s script was rewritten in ways that made the finished product more respectful to authority than Ellison’s. City on the Edge of Forever still is a classic episode, one in which everybody in the cast is good – in part because for once they are working with some really good material. If you’re curious, follow this link and watch the whole episode right now. Maybe somebody can explain to me how it is that the show is available on CBS, since it was on NBC originally. It still is a little novel to see the original Star Trek series in color; we didn’t get our first color set until 1972. 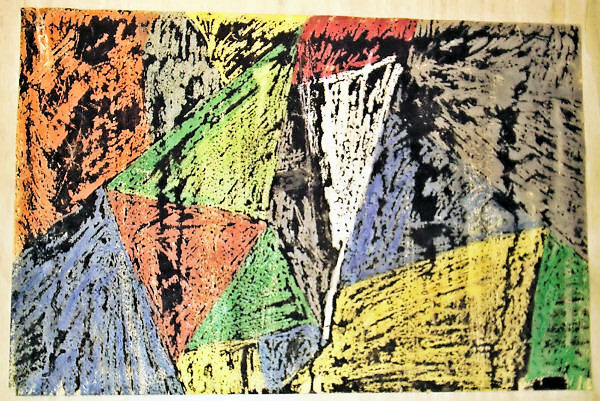 What’s up with this apparent preoccupation with color vs. black & white pictures? Maybe I should get into some black and white photography during the second half of 2013! Reverend Gary Davis wrote a number of great songs. Here is my favorite performance of one of these songs, from one of the Grateful Dead’s finest live shows. Raising kids is a delight. As regular readers know, I take seriously my responsibilities as a parent. That’s why, back in the summer of 2010, I exercised extreme caution when I dangled Lana and her camera over the tiger cage barrier at the zoo so she could look death in the eye and get a really cool photograph. Here is a picture of me with Lana, Alexis and Emily. Ms. Em recently turned 21. To help her celebrate, Alexis thought it would be fun and memorable to go out on an early morning wine country vineyard horseback riding tour. She and I have been riding horses together since we were teenagers. The ride was great fun. After we finished with the tour, we got into our car and went to several of the local vineyards, armed with tickets and hand stamps. As usual under social drinking circumstances, I was the designated driver. I’m sure you don’t need me to tell you that all wine tasting events are set up to emphasize moderation and “responsible drinking.” That’s why they only give you a little serving of each of the multiple wines you get to sample at each stop. Join me now for a rousing prayer meeting, all about Sin and Mr. Booze. 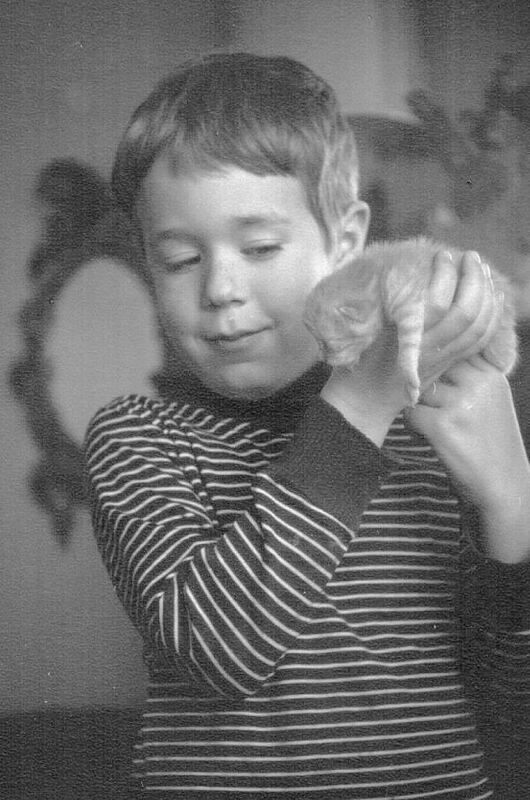 It’s odd to live in a world in which a 45 year-old photograph shows up suddenly, yet thanks to the modern miracle (or curse) of technology this picture arrives unexpectedly, and I get snatched up for a quick trip back in time. Time travel seems to be an increasingly common preoccupation on these pages. You might as well come along, so return with me to the fall of 1965. 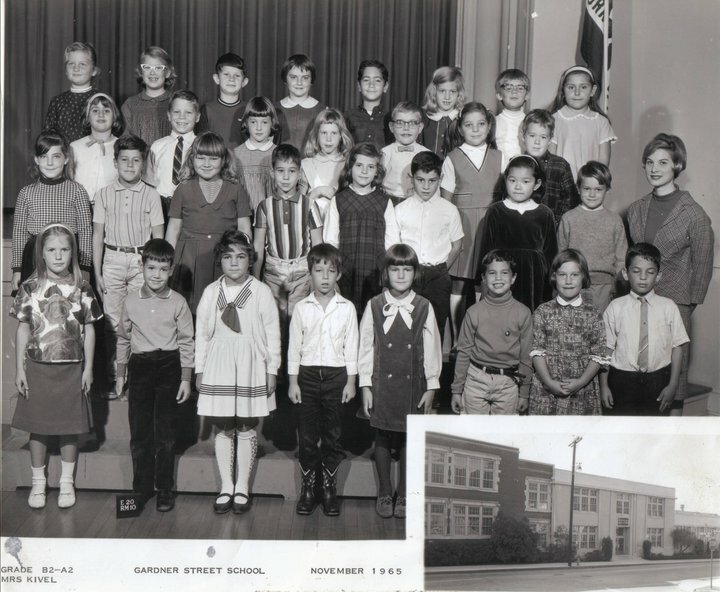 My second grade classmates and I are in what is now called the Michael Jackson Auditorium at Gardner Street Elementary school. I am standing to the extreme right of the next-to-back row, an uncharacteristic position. My sister-in-law Debbie is in the center of the same row. Just a couple of years ago, I stood in roughly the same place in that old auditorium. It looked exactly the same, except smaller. Gerry Pearce loved the water. 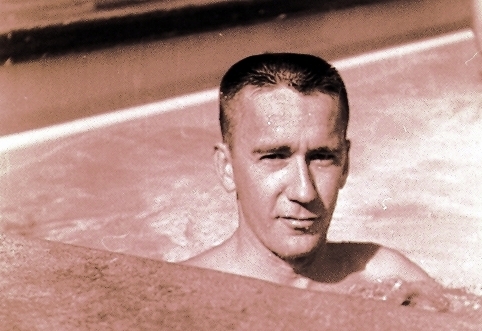 He told stories of swim meets at Baghdad College in the mid-1940’s, and although he never tried to teach me to speak Arabic he did teach me to swim. Those early lessons were during the summer of 1962. My dad and I spent untold hours together in various pools over the years, though he never had a pool at home. We went to West Hollywood Park, Hollywood High, Jen Loven’s pool, and whatever hotel pool was available during various Westercon or other science fiction conventions. During the 40 years we swam together, not once did he join me in the ocean – the Pacific was just too cold. Even during the many years I lived footsteps from Venice Beach, I couldn’t entice him to so much as get his feet wet. This photo of my dad is from July 1963, taken by my mom at West Hollywood Park. He died the morning of April 27, 2003. I am lucky enough to have constant access to a swimming pool that he likely would have found warm enough. 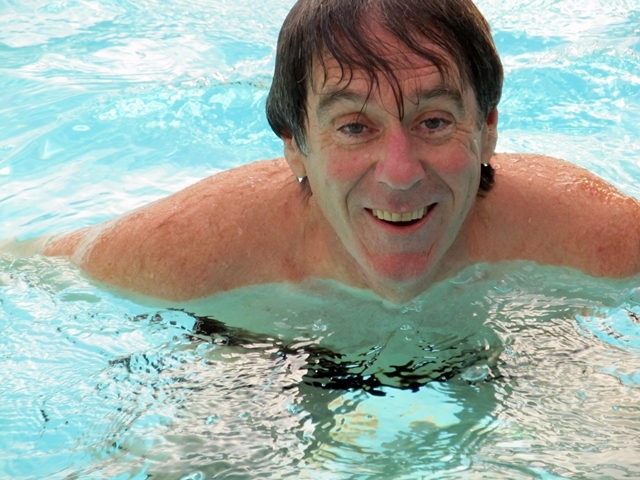 The flash of sunlight off moving water in an outdoor swimming pool reliably brings him to mind. At this point in my life, every time I go back and forth across the surface of the water it feels like a victory lap. See you in the pool! My dad Gerry Pearce was 33 years old when I took this picture of him back in the summer of 1962. I was three. This was the first photograph I ever took. I still remember holding the big, heavy black camera in my small hands and trying to keep it steady while at the same time pressing down the steel button hard enough to take the picture. 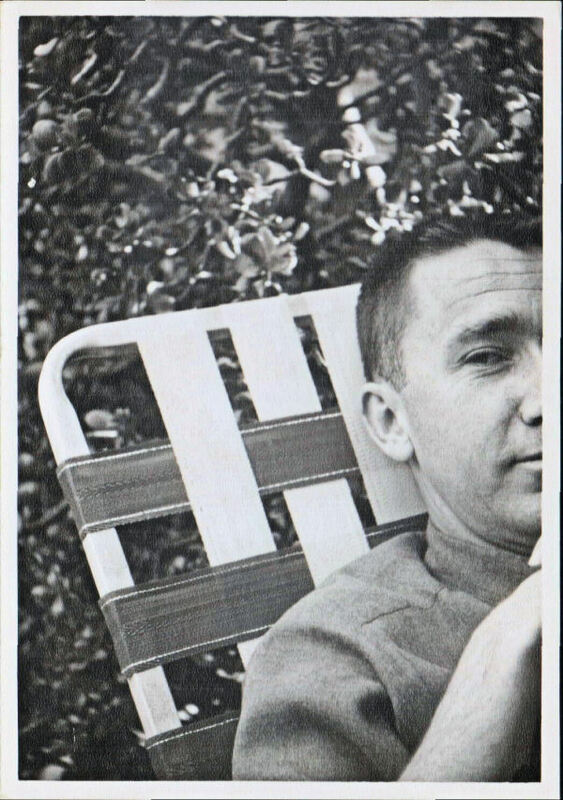 My dad was sitting still on a reclining lawn chair on the concrete patio of our old-fashioned 1920’s garden court apartment complex, in part of town now known as West Hollywood. At the moment I took this picture I was positive it would be a masterpiece. When the pictures were developed this was the one I was most interested in – after all, it would prove to the world what a hugely artistic and gifted little boy Gerry and Joan had on their hands. Imagine my chagrin when I discovered I failed to, as we say in modern corporate lingo, “meet or exceed expectations.” To make matters even worse, I could tell that my dad was actively disappointed with my first effort at photography. Today is the seventh anniversary of his death. 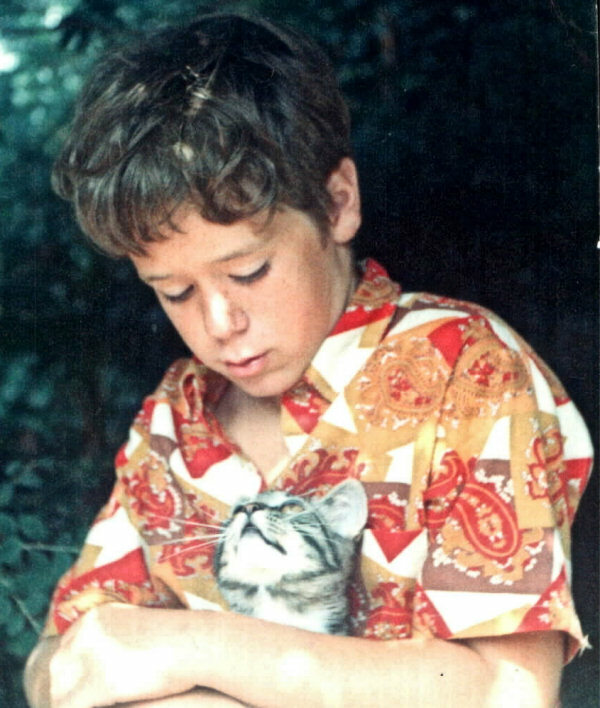 Here’s a nice shot of my paternal grandmother and a kitten. It was taken in Scotland in about 1898. For no extra charge, here’s a similar shot of me, taken in Hollywood in 1965. 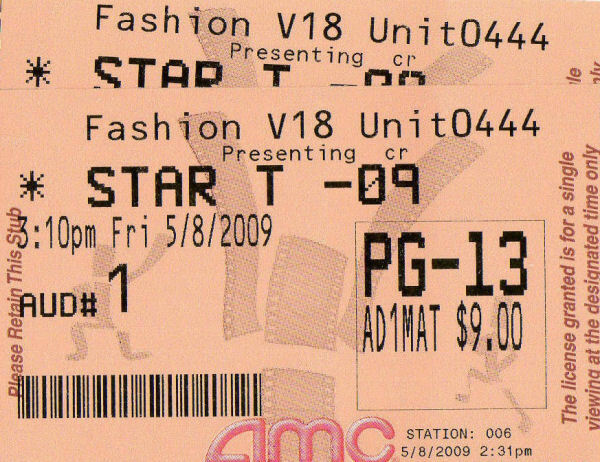 Alexis and I went to see the new Star Trek movie. We loved it. I went into the theater looking for a movie that would deliver the idealistic creative spirit of The Original Series – extra-terrestrial green-skinned belly dancers! When a nearly-naked green-skinned woman from Orion made her appearance early in the movie, I knew the people behind this picture understood Gene Roddenberry’s philosophy and were living up to its high principle. For what it’s worth, I judge this new movie to be substantially better than almost all of the hundreds of episodes of TV and the many hours of movies that make up the Star Trek catalog. The cast in this picture is much better than the original. The script is better. Personally, I’d cut about 15 minutes of video game action sequences, but who am I to quibble with Artists who appreciate the value of buxom green aliens? 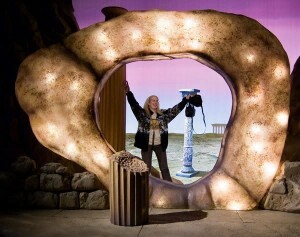 My mom worked on Star Trek from 1966 through 2004. This movie is the first Star Trek show to come out after her death. I’m sure she would have enjoyed it. I got to hang out on the sets of The Original Series back in the 60’s, and my parents and I attended the Star Trek Christmas party in December, 1968. I was 10 years old. I got to sit in Captain Kirk’s chair and stand on the transporter pads. The whole cast was there, boozing it up and enjoying themselves in a melancholy way – the show had been cancelled (for the second time) and everybody there knew that this third season would be the last. If anybody at that party in 1968 had promised the group that the show would be more popular than ever in 2009, their car keys would have been confiscated. The most memorable part of the evening, aside from walking around all of the sets, was being with the cast and crew as they showed the collected blooper reel on a projector and screen. I’d never seen anything like it. Although these three clips aren’t complete, they’re highly entertaining. Watch for yourself and enjoy! 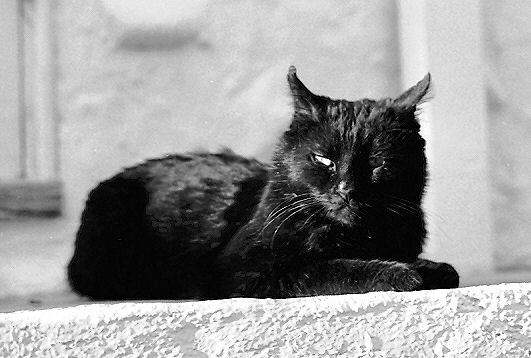 This is an old-fashioned street tomcat who understood the meaning of freedom. He would come and go at will, disappear for months on end, reliably doing exactly as he pleased. He was old in the 1950’s. By 1969, when this photograph was taken, he had cheated death so many times that death decided to go elsewhere for business. These days Tuff Catt is in his mid-60’s, emerging out of the shadows of old Hollywood from time to time to check up on things. This is a nice action shot from 41 years ago. You’ll notice that I am being photographed from above, with a cliff behind me and rocks about a hundred feet below. 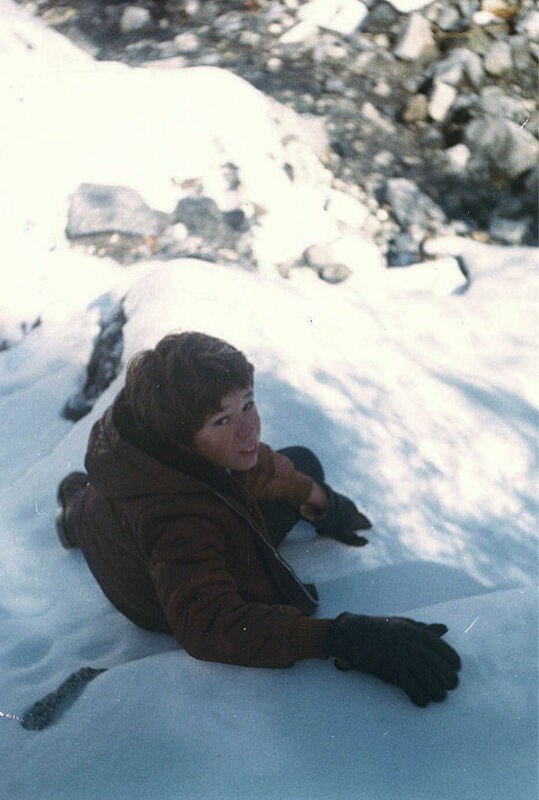 Nobody said it wasn’t OK to climb up the sheer face of an ice-covered mountain until after I had done it! If it was so dangerous, how come I wasn’t more closely supervised? What do you expect a nine-year-old kid to do out there, memorize multiplication tables? My mom took this picture immediately before she started yelling at me for taking so many dangerous risks. Startled by her outburst and frightened by her fury, I lost my grip and fell backwards to the rocks below. Easy come, easy go. One big benefit of being raised by cats with psychic powers is that you get bonus lives out of the deal. This would not be the last life I lost, tragically. Fortunately I’ve still got a few left. 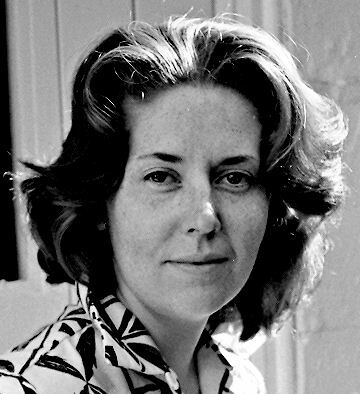 This is the fourth anniversary of my mother’s death. Here is how she looked in the summer of 1961. To see how she looked twenty years later, go here. 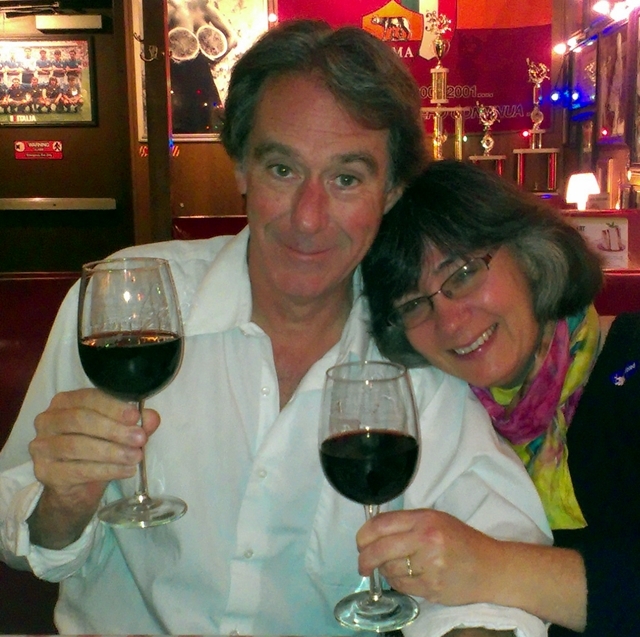 Today my beloved spouse celebrates a birthday. 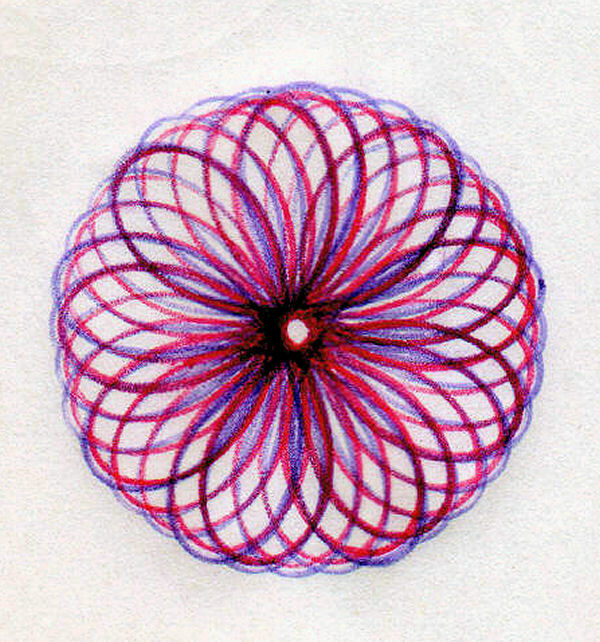 To commemorate this event on-line, I offer a Spirograph flower I drew in 1968. Did you know that Spirograph patterns are hypotrochoids and epitrochoids? 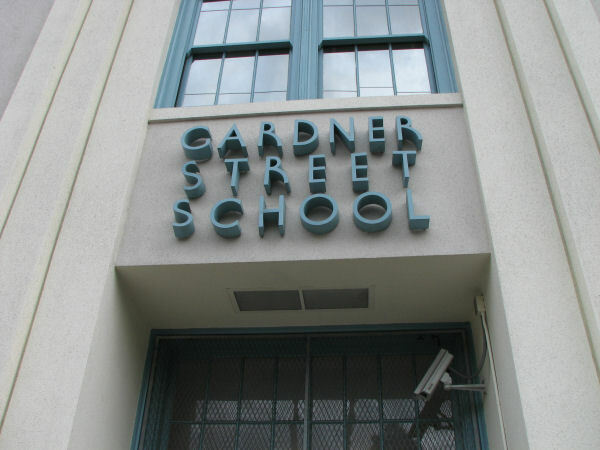 Gardner Street School is a block north of Sunset Boulevard and a few blocks west of La Brea. I showed up here for first through fifth grade and I hadn’t been back inside the place since the last day of school in June of 1969. I used to walk half a block to buy the occasional hot dog or baseball bubble gum pack at the Sunset Grill twenty years before it was made famous by Don Henley. My nephew Sam just started school at Gardner, and Halloween gave me a chance to take a fifth grader of my own to the party. The school is a lot more crowded than it was when I went there, and the nicest building was destroyed by an earthquake a couple of years after I left, but the place is very much the same. We took the kids out to collect candy. 40 years ago to the day, Alexis and I went trick-or-treating with a big swarm of kids in the same neighborhood. Quite a few of the old houses have been replaced by big apartment buildings, but a surprising number of the old places have been restored with loving care. The trees are 40 years older and seemed gigantic and vigorous. Most importantly, the streets were crowded with friendly, happy people. Plus, we agreed with most of the political signs on the lawns! For no extra charge, here is some art I did at Gardner Street School at about this time of year back in 1968. I met my maternal grandmother once. 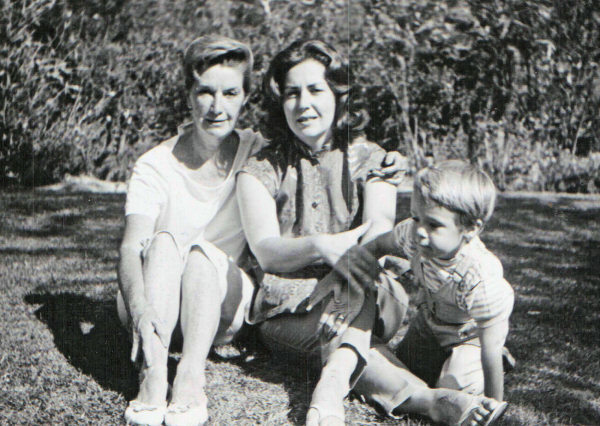 Here is Wilhemena Reaume with her daughter Joan and her grandson Scott. My grandfather, Robert J. DeLap, deserted the family in 1930, shortly after my mom was born. Wilhemena abandoned her daughter to be raised by her dad’s parents. Mother and daughter were reunited for a few hours one day in 1961. It did not go well.